We wish to correct the information shown on this page. We currently serve the 36605 zip code only. You must bring a current bill and ID showing your current address for verification purposes. Pantry Hours: The Food Pantry is only open every other Friday 8 am to 10 am. Please call the Thursday before to verify that it is open. Your opinion matters. 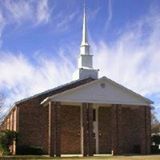 Leave A Review Or Edit This Listing for Fulton Road Baptist Church - Loaves And Fishes. Provides a food pantry. Serves 36605. You must bring a current bill and ID showing your current address for verification purposes. Please call on Thursday to verify that it is open. We always need more information on our pantries. If you know of any details, volunteer information, website, hours or more description information about Fulton Road Baptist Church - Loaves And Fishes please add a comment (below the map on this page), with information. We will then display this for all visitors on this page.